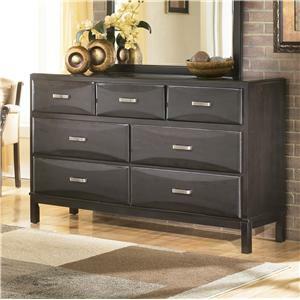 With ample storage and style to match the storage, this contemporary style dresser is the perfect piece to complete your bedroom. 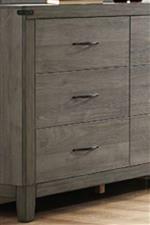 There are six spacious drawers so you'll have plenty of room for clothes while a crisp modern silhouette pairs with the grey finish and black hardware to create a bold storage piece. 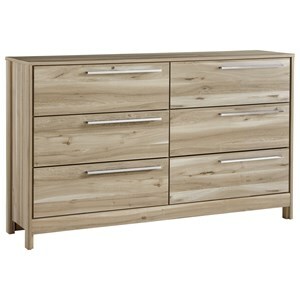 The 2042 Contemporary 6-Drawer Dresser with Modern Silhouette by Homelegance at Corner Furniture in the Bronx, Yonkers, Mount Vernon, White Plains, Manhattan, NYC, New York area. Product availability may vary. Contact us for the most current availability on this product. The 2042 collection is a great option if you are looking for Contemporary furniture in the Bronx, Yonkers, Mount Vernon, White Plains, Manhattan, NYC, New York area. Browse other items in the 2042 collection from Corner Furniture in the Bronx, Yonkers, Mount Vernon, White Plains, Manhattan, NYC, New York area.